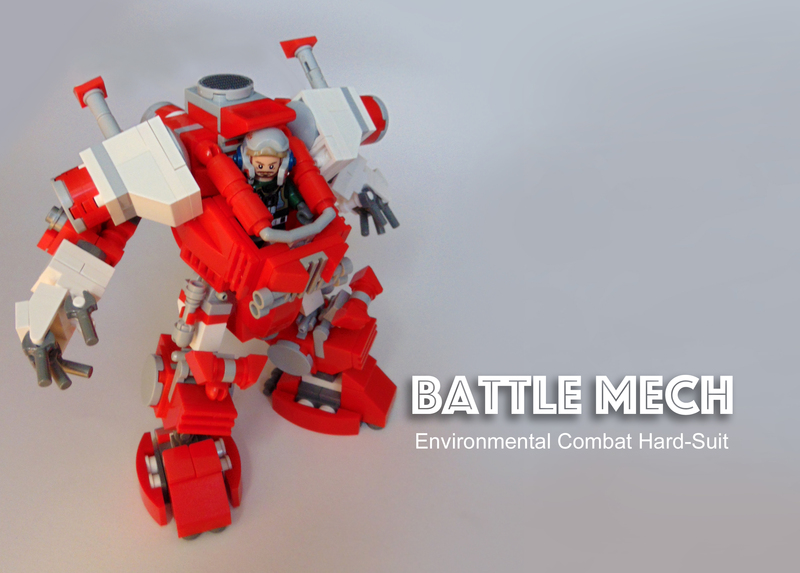 The Battle Mech Environmental Hard Suit is a Lego mini figure scale fully articulated model. 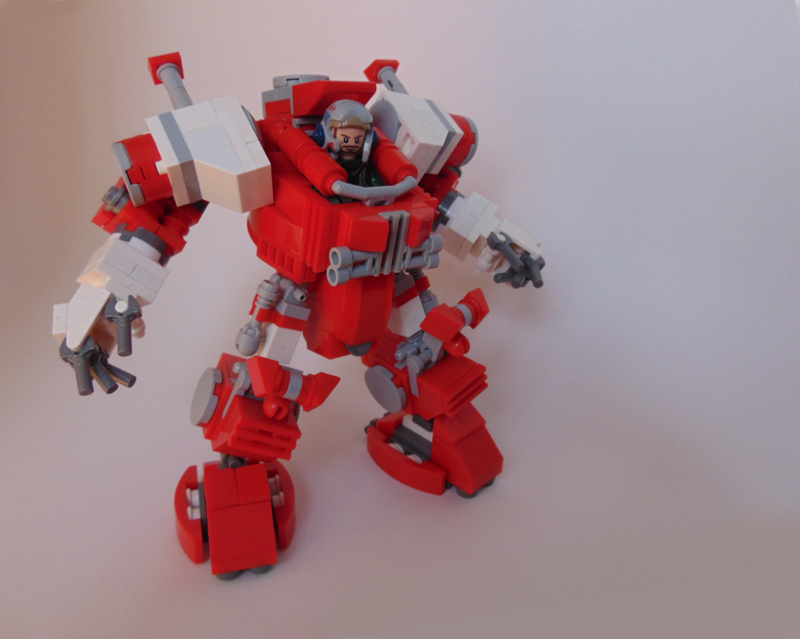 This is the combat variation of the powered hard suit, as opposed to the standard environmental hard suit which is deployed to work in hazardous conditions off world. 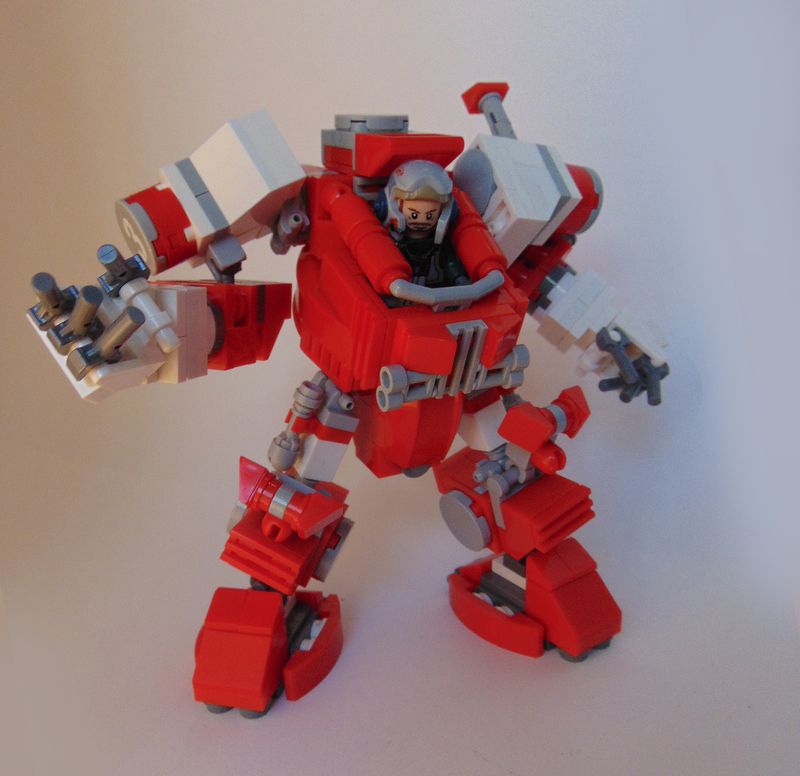 The arms and legs can be repositioned to create many different action poses.